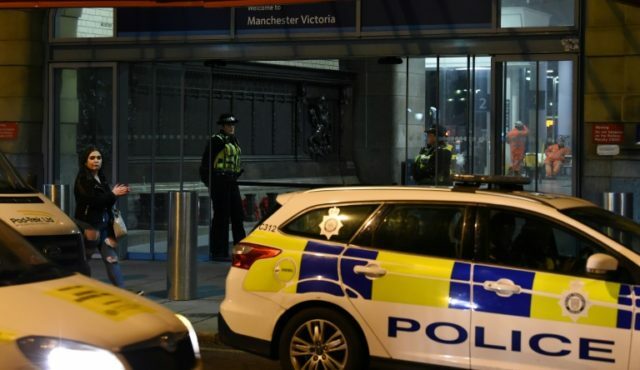 Manchester (United Kingdom) (AFP) – A British police probe into a triple stabbing at a Manchester railway station on New Year’s Eve which injured three people is now being treated as “a terrorist investigation”, the city’s top officer said on Tuesday. The suspect reportedly shouted “Allah” during what Hopkins called a “horrific attack” on three people, including a police officer, at Manchester Victoria station on Monday evening. A man and a woman, both in their 50s, are still being treated in hospital after sustaining “serious” injuries, while the officer was also stabbed in the shoulder, he added. “We are treating this as a terrorist investigation which is being led by counter-terrorism officers with support from Greater Manchester police,” Hopkins told a briefing. “They were working through the night to piece together the details of what happened and to identify the man who was arrested,” he said, adding that an address in the Cheetham Hill area of the city was being searched. Prime Minister Theresa May thanked emergency services for their “courageous response”. No group has claimed responsibility for the attack, which happened at around 8:50pm (2050 GMT) when many revellers in the city would have been enjoying New Year’s Eve celebrations. The witness said he heard the “most blood-curdling scream” and looked down the platform to see the attack unfolding. Clack said police officers used a stun gun and pepper spray before “six or seven” officers jumped on the man. “I know that the events of last night will have affected many people and caused concern,” Hopkins said Tuesday. “That the incident happened so close to the scene of the terrorist attack on May 22, 2017 makes it even more dreadful.